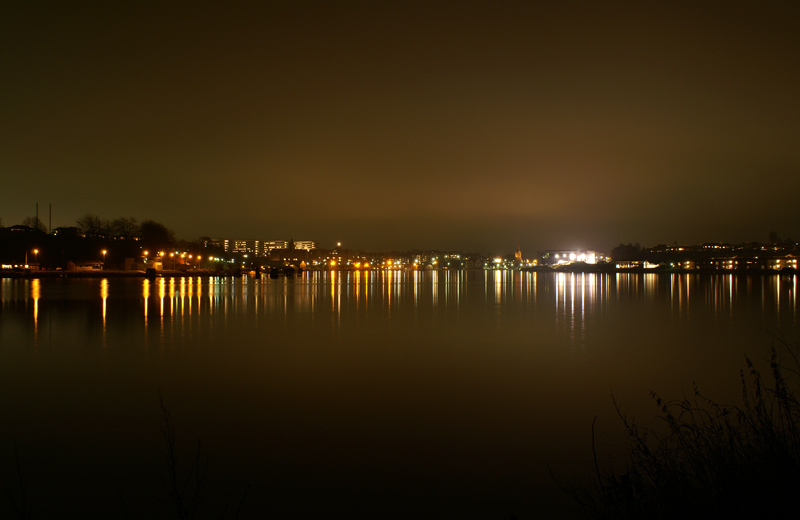 - PhotoByte -: Sønderborg "Skyline"
I went out once again tonight and took some pictures. I am getting more and more used to the manual mode on my camera, so the pictures are getting more as I want them. I really like the reflection in this shot! I can see why you're getting addicted! You do a great job with night shots!